BAKU, March 19. /TASS/. Azerbaijan’s President Ilham Aliyev congratulated Vladimir Putin on Monday on securing victory in the Russian presidential election. "I heartily congratulate you on a convincing victory in the Russian presidential election. This victory demonstrates your high political authority and active support for your policy aimed at ensuring stability, legitimacy and the rule of law in the country, carrying out large-scale reforms, implementing long-term social programs contributing to enhancing the well-being of citizens," a telegram published on Aliyev’s official website said. Azerbaijan and Russia have centuries-old ties of friendship and good neighborly relations, he said. "I’m glad that today our interstate relations are developing on this solid foundation." The Azerbaijani leader welcomed Putin’s personal contribution to developing bilateral relations and cooperation in general. "I’m convinced that our joint efforts on further enhancing strategic partnership between Azerbaijan and Russia will further promote interests of our peoples and countries, maintaining peace, security and progress in the region," the document read. 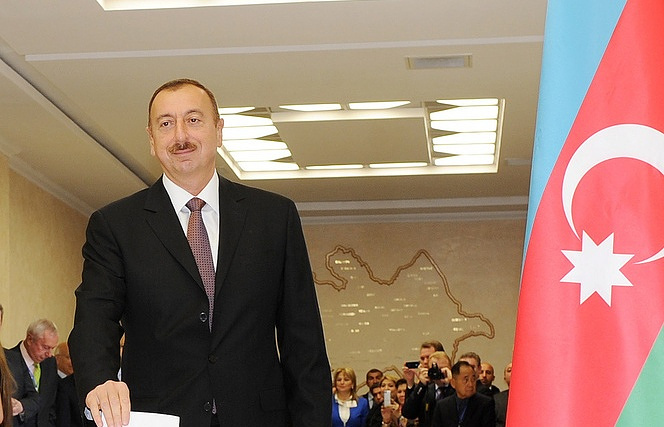 Aliyev wished Putin good health, happiness and success in his state activity.